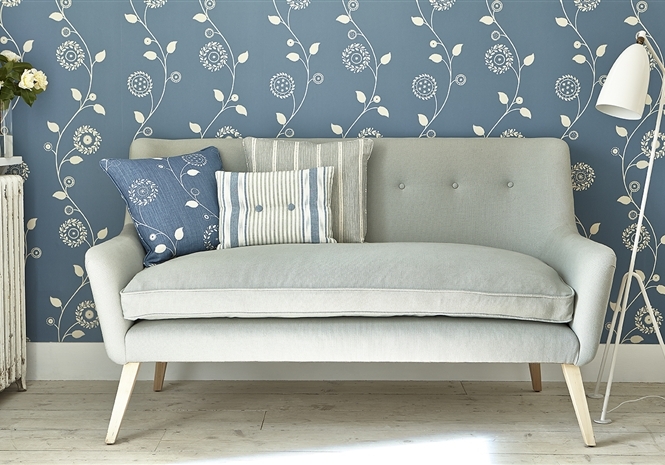 This sofa matches the Calmsden Chair and is is available in any of our fabrics. 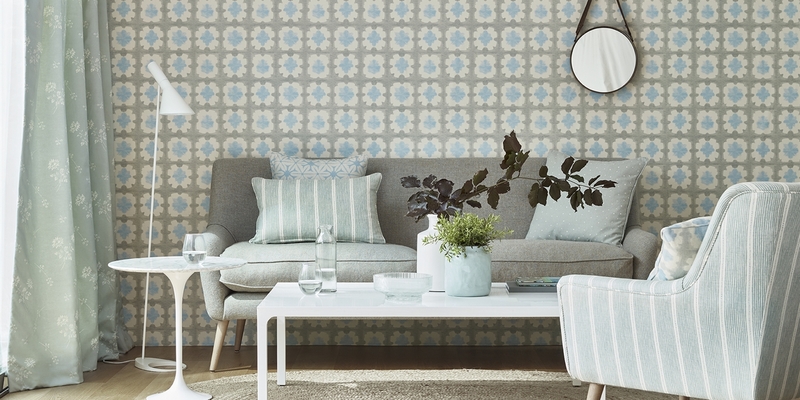 The sofa in the image is 160cm wide and has square tapered legs in the light colour . 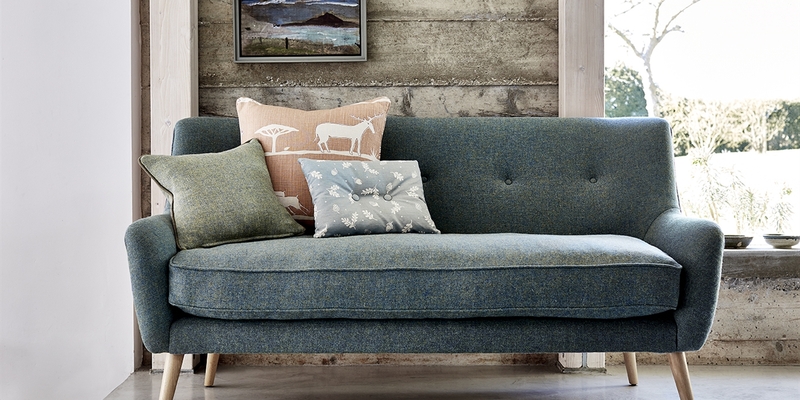 Due to it's shape and style, the Calmsden Sofa is only available with a foam filling.